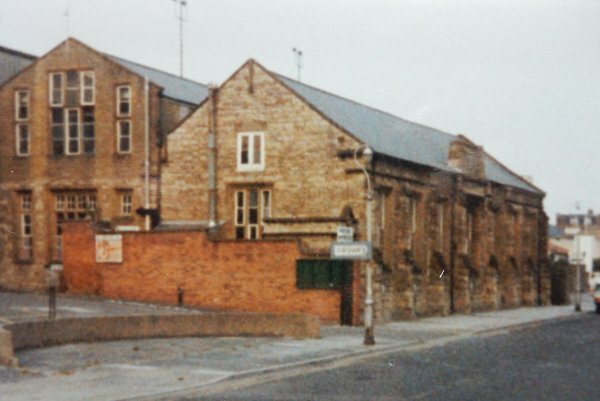 A campaign was begun in 1839 for a Church of England day school for boys and in 1843 the Vicarage Street Sunday School building was being used to teach seventy boys. Unfortunately the schoolmaster threatened to resign because of the unhealthy conditions which eventually resulted in the building of the first National School in Huish. Glove manufacturer Robert Tucker, by now retired and a Town Commissioner, acted as secretary for the campaign and donated to the ministers and churchwardens of the parishes of Yeovil and Preston a garden plot adjacent to the Calvinist burial ground as a site for the school. In April 1846 the National Day School opened for the education of children of poor parents "in the principles of the Church of England". However Robert Tucker firmly opposed exclusively denominational teaching at the school, insisting on "daily study of the Bible but no catechism and no requirement to attend a particular Sunday School". He ensured that history and geography were included in the curriculum, and persuaded the committee to reject a suggestion that the time accorded to singing was too much. The school was built in Huish, on the garden plot next to the Calvinist burial ground that gave the area at the top of Huish the name 'Paradise' - now under Tesco's. It was the first of its kind in the area and in its edition of 23 April 1846 the Sherborne Journal reported "A beautiful and tasteful building for the National Schools in the town was opened on Thursday and a public meeting was held within the new erection. George Harbin Esq, of Newton House, occupied the chair. The building is a great ornament to the street in which it stands, but is unfortunately erected in a locality where its beauties are lost to the great proportion of the inhabitants. It is in the Elizabethan style. The builders were Messrs James Rawlings and Mark Thomas, and the mason was Thomas Harwood." In 1856 Vickery wrote "There is also a large National Day School in Huish, built in the Elizabethan style, at a cost of upwards of £800, which was opened April 15, 1846, for the education of the children, boys and girls, of the poor, resident in the town, and where, for a small weekly pence payment, they are taught reading, writing, arithmetic, and needlework; but in consequence of the very early age at which children are put to work at glove-making, this school is very thinly attended, and is at present but little removed from being an Infant School." 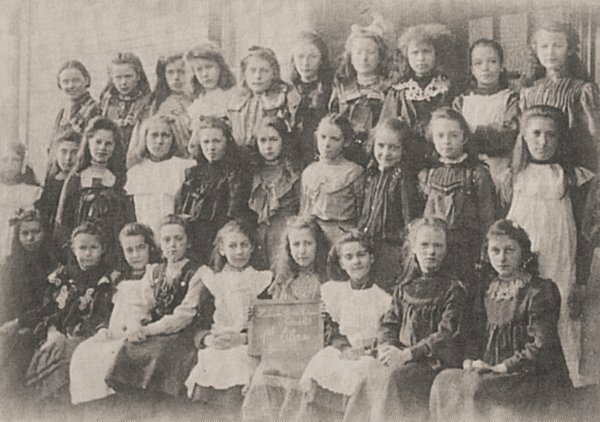 Clearly attendance improved because in 1867 the girls were moved to a Church Street building, the early St John's schoolrooms, and a separate infants department was opened at Huish. 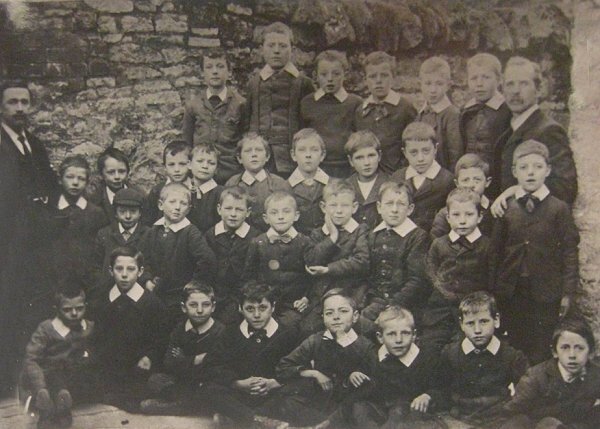 It was around this time that a second National School opened, accommodating 190 children in South Street. The Education Act 1870 made provision for voluntary bodies to transfer their schools to the School Boards should they so wish. Across the country this was seldom carried out but in Yeovil the National Schools at Huish and South Street were handed over to the Board by the Anglican authorities. In the early 1890s W Mate wrote of the school "the Huish School, for boys only, is in charge of Mr Edwin Maidment a College-trained certificated teacher who has held the post since 1860. Not a few of the parents of the present scholars were his former pupils and have to thank him for a good, sound elementary education". Edwin Maidment was headmaster of Huish Boys' School from 1860 to 1905. The Yeovil Education Committee praised him on his retirement for his "zealous and able manner in which he had performed his duties". 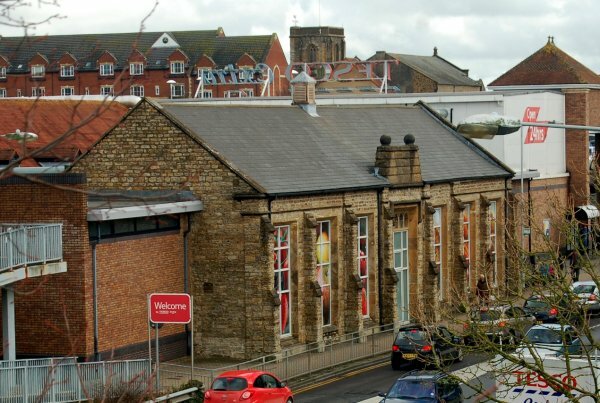 The remaining school building shown below is now incorporated into Tesco's. 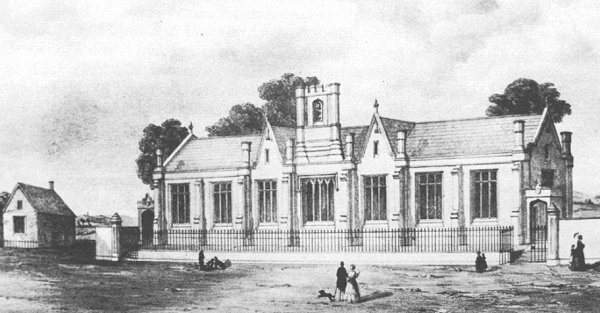 A drawing of the Huish National School. Huish Infants and Girls School, circa 1905. "Standard Six" class of 1907 with their teacher Mr Boalch. 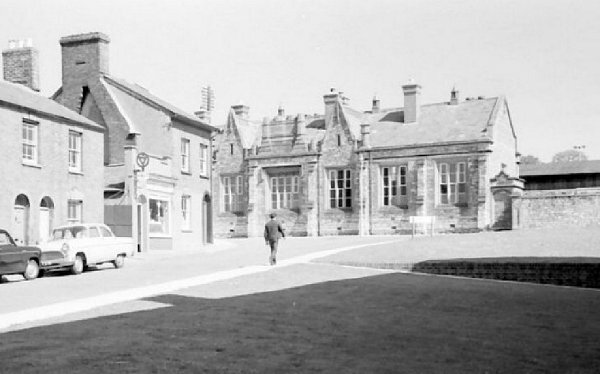 A view of the school buildings photographed around 1960 from the end of Wellington Street. 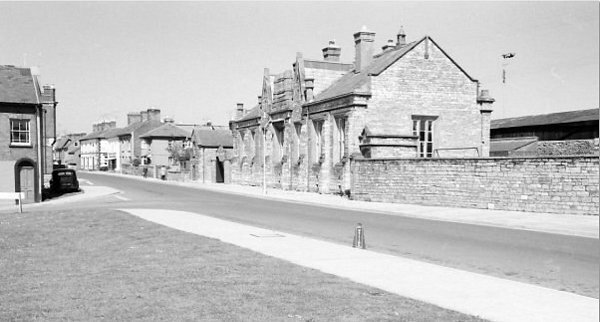 The school photographed around 1965 from the Huish end of Salthouse Lane. Again photographed around 1965, this view also takes in part of Huish. 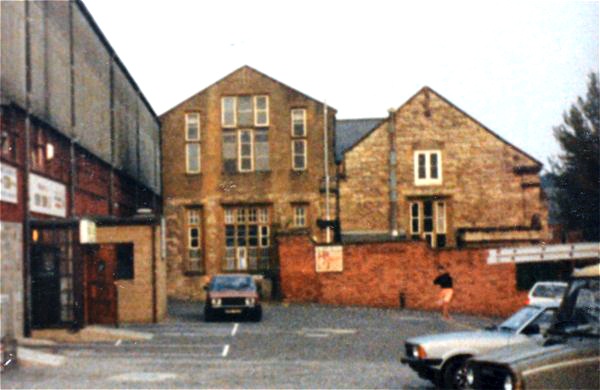 The boys entrance, photographed in 1985. 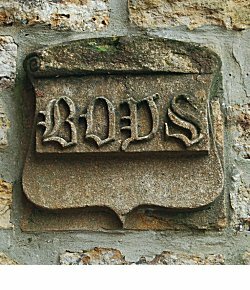 The stone plaque 'Boys' above the entrance is now affixed to the side wall and is seen in the photograph at the top of this page. 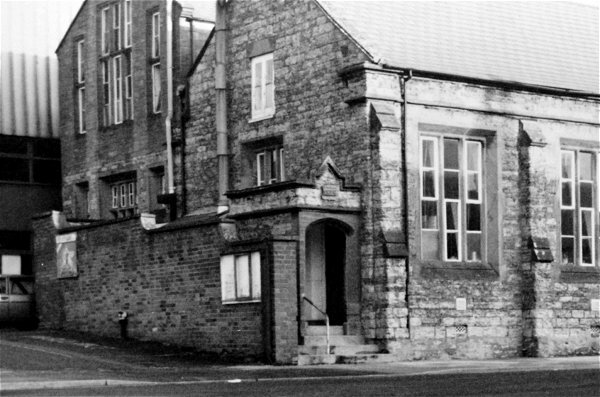 The school seen from Huish, circa 1991. .... and seen from the side. At left is the entrance to Yeovil Town football club's pitch. Photographed in 2013 from the infamous Queensway Bridge, notice that the front-facing twin gables and the numerous chimneys have been removed. Seen just above and right of the red 'Welcome' sign is the 'Boys' sign embedded in the wall and seen at the top of this page.